The best retirement homes are all about living. And life happens at Country Meadows of Mechanicsburg. Just see our retirement community activities below, and you’ll agree. Our Mechanicsburg retirement community activities include a variety of social events, outings, fitness programs, lifelong learning and spiritual life to keep a day full and residents engaged—making us one of the best retirement homes in Pennsylvania. 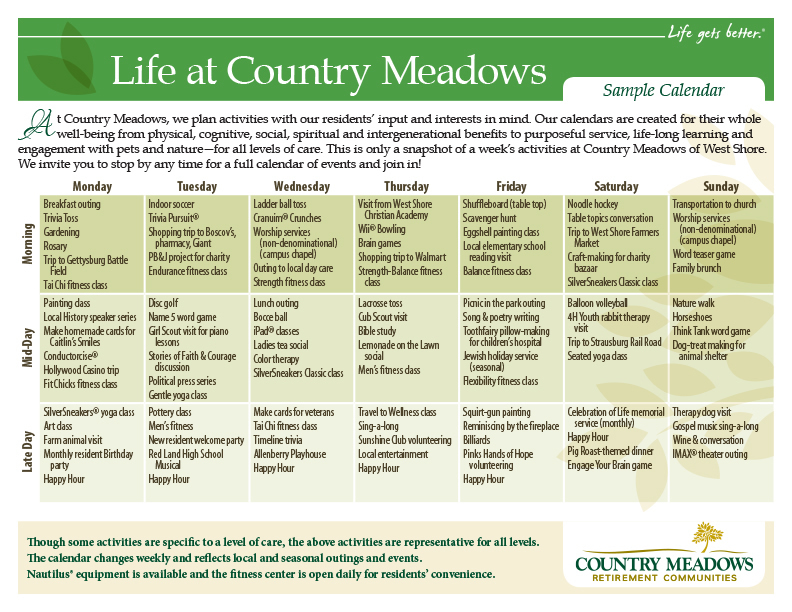 Below is a sample calendar for our Mechanicsburg retirement community — for all levels of care. For activities on a specific date contact us or stop by to join in!